Hitting sales targets consistently pays everyone’s bills. Measuring and tracking your team’s ongoing performance is the best indicator you have to consistently manage and deliver on your objectives. You can’t afford to lose sight of the forest and see only individual trees. You need simple and clear visibility over your team collectively - instead of wasting time cobbling together the whole picture from a series of individual salespeople. Implementing this can seem like hard work - but It doesn’t have to be. There are just a few practical steps you need to develop an effective way to measure, track and report on your sales team’s performance. Here’s a step-by-step process to help you monitor your sales team and keep their eyes on that clearly-defined prize. If a member of your team takes their eye off the ball you suffer a temporary setback. But, if your whole team lose sight of the goal, it’s game over. You’re the coach. If you want to win consistently, you need a seat in the stands with a bird’s eye view. As a manager, you need to be able to realize when you need to reallocate resources or change priorities to avoid missing targets in your sales cycles. You need to be able to manage expectations for your team. You need to discuss factors that may not be related to individual performance but are related to deeper issues, such as the competitive landscape or wider economic factors. This helps reduce the inevitable tensions and stresses that are typically felt by salespeople – and a collective recognition of these issues also encourages creative solutions to be explored. Focusing on collective performance not only helps keep the big picture firmly framed, it also helps strengthen motivation by encouraging a sense of teamwork, unity and shared goals. The benefits are clear – but you need a simple way to introduce collective goal tracking that does not add to your already heavy workload. You need a process that is simple to introduce and maintain; something that helps you and your team work smarter, not harder. And that’s exactly what we’re going to give you. Setting clearly defined sales goals for your team is the foundation you need. These goals shouldn’t be mandated with Ten Commandments-style ruthlessness. 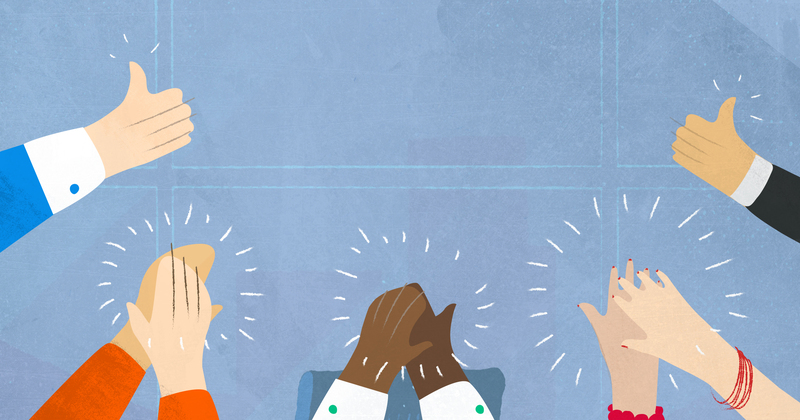 The best way to set sales team goals is to involve your team in their creation. This way you have the chance to discover obstacles as well. As a result, your goals are more likely to be realistic and your team will feel more motivated and invested in working to achieve them. The most effective performance measures maintain a dual focus on short-term task completion and long-term performance. This mix of goals and incentives helps to promote a positive work ethic. While weekly (or even daily) goals help keep your team on track - the inevitable ups and downs of sales can mean that demotivation quickly sets in. During these tough times, longer-term goals provide a more realistic measure of success. Similarly, if daily and weekly goals are too easy to achieve, but long-term success is not happening - you’ll need to review whether these micro-goals are actually helping everyone get the results that really matter. Your sales team must be focused on more than just closing the deal. 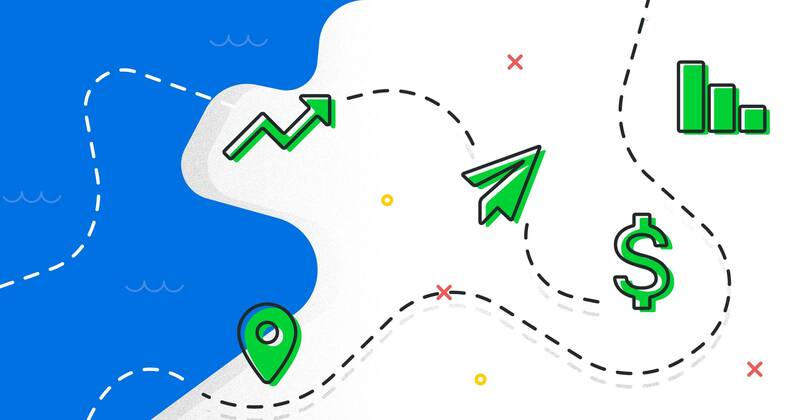 Every stage of your pipeline needs to be filled – which means that sales prospecting needs to be tracked and leads need to be qualified and nurtured. But, it’s not a sales manager’s job to fill your pipeline: it’s your job to advise your team on how to fill it (and to understand how to know when it’s filled correctly). You need up-to-the-minute measurable metrics so you can track each of your people’s sales process at a single glance. Pipedrive’s customizable dashboards feature gives you tailored visibility of your sales pipeline so you can declutter your dashboard and track only the most useful metrics for your company. How can you customize your sales dashboard with Pipedrive? You can configure real-time metrics to develop a clear visual overview of your data - not only helping you to identify areas of improvement for your sales process, but also allowing you to simplify your sales cycles. You can even shuffle all of those options around in your visual dashboard and hide any options that aren't needed. This means you can start to understand exactly how the sales pipeline is flowing, and where problems are occurring. With accurate metrics, that can be instantly visualized, you can improve your closing rate by pinpointing the areas where it breaks down. 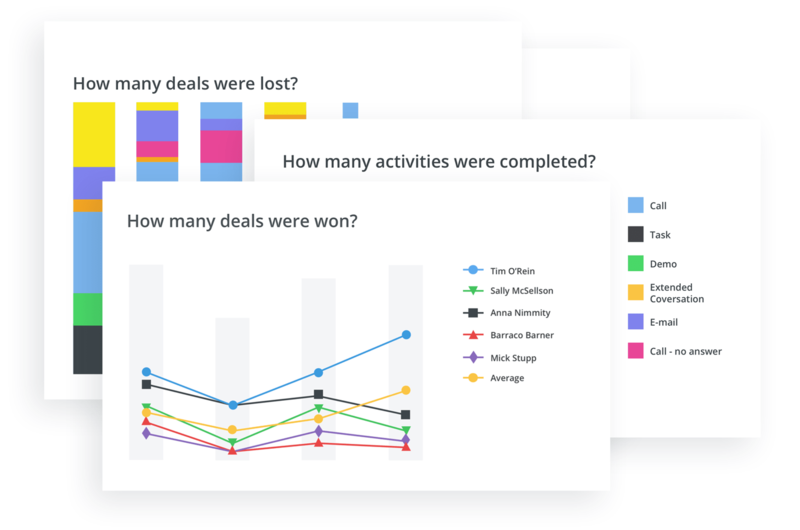 Read our ultimate guide to sales dashboards to learn how you can use your insights to improve performance and hit sales quotas. Some managers create more work for themselves by developing an overly complicated system for tracking and reporting on their team’s performance. The aim here is to streamline your team’s workload by making it more focused. Pipedrive’s customizable sales reporting features allow you to quickly visualize the precise data you are interested in to assess your team’s performance. You can see the number of new deals added, the average age of your deals, the number of open deals and stage-to-stage conversion for all of your deals in any time period. Applying custom filters to any report allows you to quickly and clearly see the exact data you need. Pipedrive helps you automate the production of sales reporting, saving you so much manual administration time that you can spend on solving, rather than identifying, issues. Data is meaningless unless it is actioned. You need to share the insights you have gained with your team as a whole. The easiest way to make it happen? Use regular catch-up meetings as an opportunity to look at any new or recurring issues. You can offer troubleshooting solutions to the group and each individual has a chance to share workarounds or solutions they have found. It’s also important to make time to check-in with each person individually. Use this time to sensitively discuss exactly how their performance compares against the team’s objectives – and highlight any specific areas for improvement. Try and find out if the salesperson needs training, support or extra resources to meet any problems or challenges. This meeting is an ideal way to avoid singling out one team member in front of the rest of the group – and it’s also a perfect forum to help anyone who is struggling to bounce back after missing sales objectives over the previous sales cycle. Tracking and measuring your team’s performance should never be something you, as a manager, do alone. You must do it in collaboration with your team. Make sure your salespeople are involved in setting team goals, determining targets and establishing KPIs. Put in place regular catch-ups to discuss and evaluate their collective and individual performance. Keep monitoring – but most of all keep talking! Use this summary as the foundation for tracking and measuring the success of your sales team. With the right reporting tools and a simple CRM system designed to help you monitor performance in real time - you can start working smarter and hitting those team targets with pocket-lining regularity!